I have a Nook account and library with over 100 purchased titles. I really would like to read them on Kindle Paperwhhite. Is there any way to migrate the books I purchased on Nook to a Kindle or remove DRM from them? If you read eBooks, you've probably heard the term "DRM". What is DRM? DRM stands for digital rights management is specifically designed to control access to copyrighted materials, and is now a common feature of everything from eBooks to music files. Generally, it prevents users from illegally copying and using these protected contents. Take Nook books, for instance, it also adopts such a controversial technology to encrypt its eBook files that those who download books from Barnes & Noble are unable to read Nook books on many other devices, such as Kindle Paperwhite and Kobo. Although it’s easy to understand why the rights holders are keen to protect their work, as a Barnes & Noble’s consumer, Nook DRM is an extremely frustrating aspect of life. So here comes the question: is there any way to remove DRM from Nook books? The answer is definitely yes! 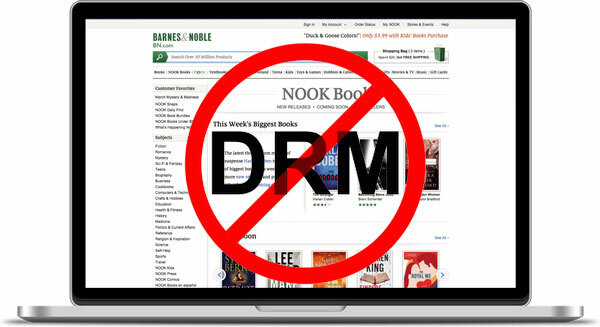 Here we will share you a powerful Nook DRM removing tool to help you strip DRM from Barnes & Noble’s eBooks with few clicks. 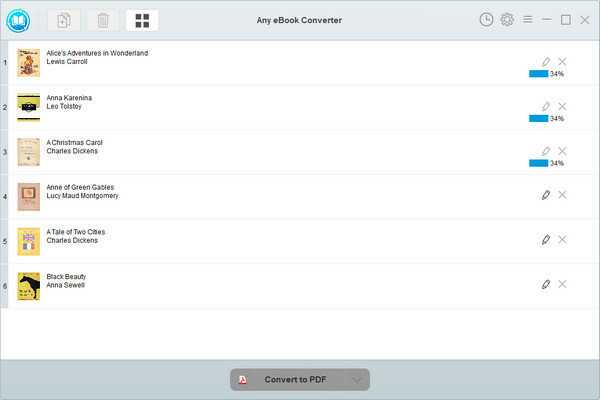 The magic Nook eBook DRM removing tool we are talking about here is called Any eBook Converter. 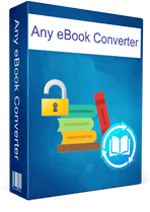 It is a top-rated eBook converter, dedicated in helping users to bypass DRM restriction from protected eBook files. 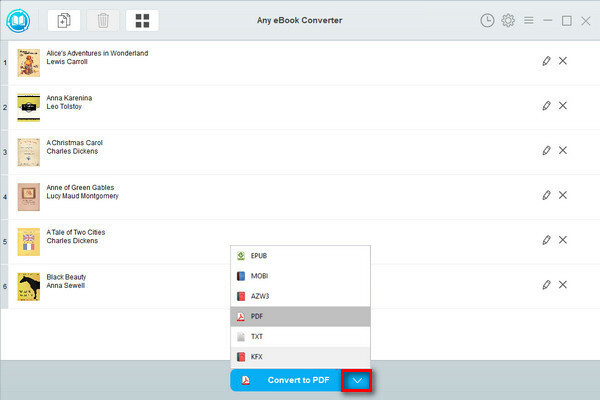 With built-in innovative DRM decryption technology, Any eBook Converter can easily remove DRM from Nook, Kindle, Adobe and Kobo eBooks, and convert them to various format, including EPUB, MOBI, PDF, AZW3, TXT and KFX. Plus, it enables you to customize the eBook meta information, including title, author, publishing date, publisher and more according to your special needs. With the help of this smart tool, you can easily get non-DRM Nook eBooks, and read them on any devices, such as Amazon Kindle, Kobo e-Reader, and etc. 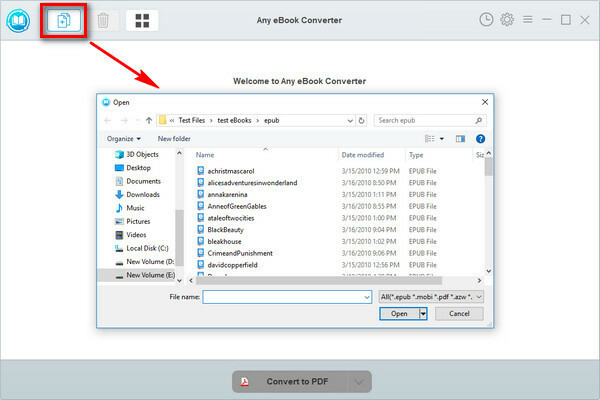 Any eBook Converter enables us to remove DRM from Nook eBooks with three simple steps, and below is a demonstration of the whole process. Before we get started, please have the program well installed on your computer. Now you've got your DRM-free Nook books, you can easily read them on more devices, print them out, or share them with your best friend, etc.